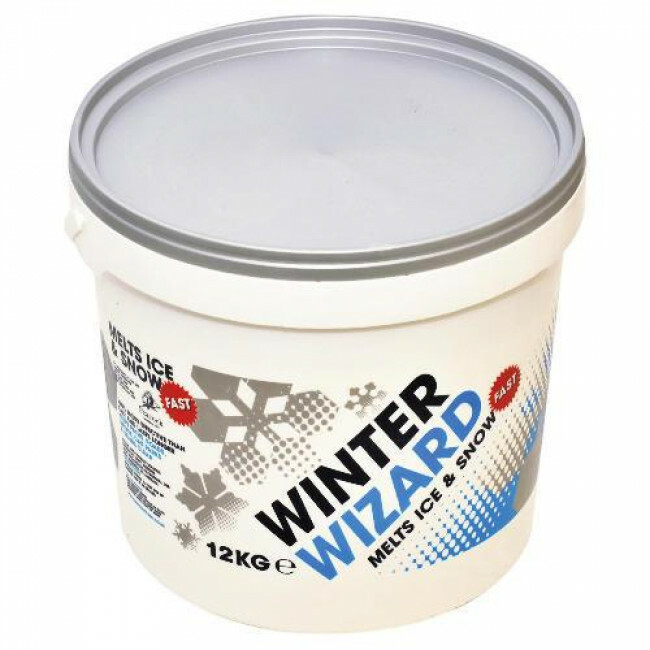 Winter Wizard is an effective de-icer that has the ability to melt snow and ice, and fast! The 12kg tub is a cost effective solution for all applications. Winter Wizard has the ability to last longer than regular rock salt. It is made from a blend of chlorides and is totally clean and soluble, meaning no residue is left behind. Another benefit of this de-icer is that it is harmless to animals, meaning it is safe to be spread on farms and places where wildlife are present.